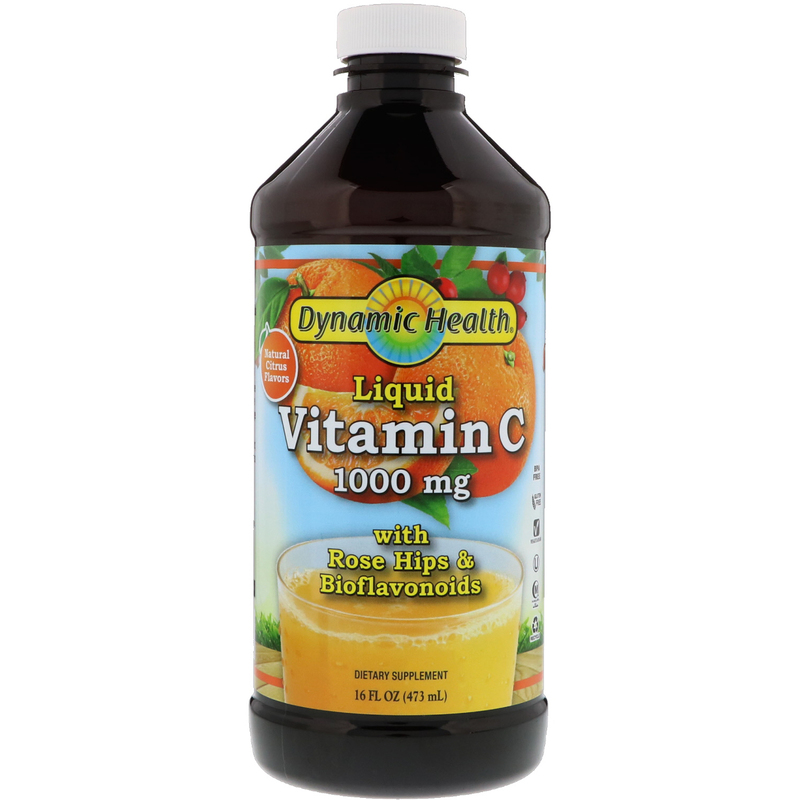 Dynamic Health Liquid Vitamin C provides 1,000 mg of Vitamin C per serving. 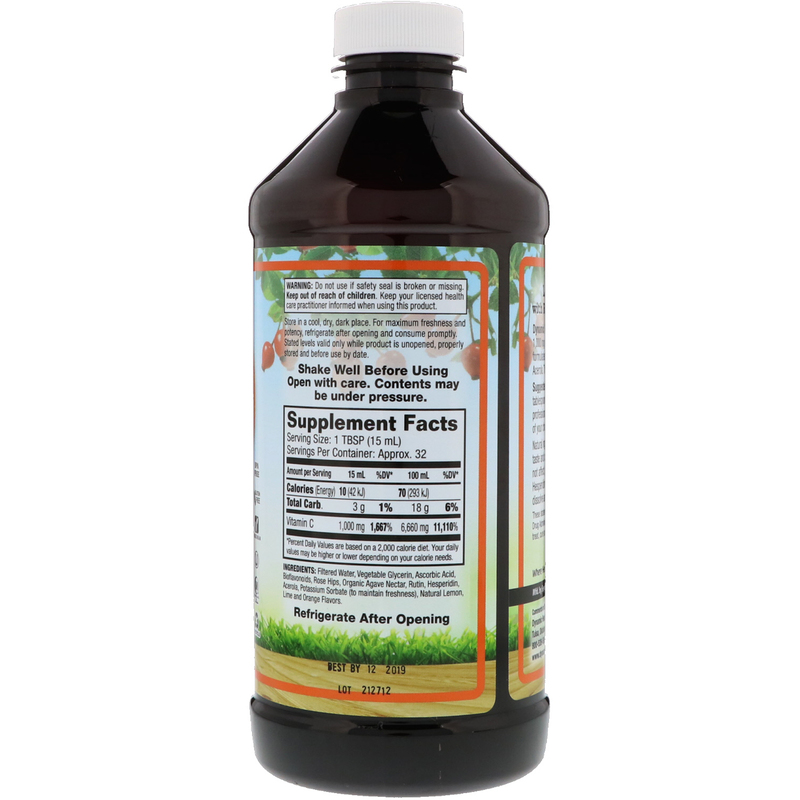 Our product is formulated with Rosehips, Bioflavonoids and Acerola. The taste is great and is easy to swallow. Shake well before using open with care. Contents may be under pressure. Filtered water, vegetable glycerin, ascorbic acid, bioflavonoids, rose hips, organic agave, nectar, rutin, hesperidin, acerola, potassium sorbate (to maintain freshness), natural lemon, lime and orange flavors. Natural ingredients in this product can vary the color, taste and consistency from batch to batch. This does not affect potency or quality. Bioflavonoids, Hesperidin and Rutin do not always completely dissolve and may cause a cloudy appearance.